This morning I will be attending a memorial service for Muriel Gluck who died last Friday. Mrs Gluck has been an angel for many institutions, including the UCLA Music Department, the UC Riverside Music Department and Juilliard School of Music. Her generosity has supported and changed lives of many musicians and audiences for the past two decades. I was a surprised to not find an obit for her yet, only a paid homage in the LA Times from Juilliard. I found an article from a UCLA publication by Mary Goodstein that tells her story nicely. We will miss you Muriel. You have touched the world and changed it. Thank you. Muriel Gluck has always been passionate about learning. Trained as a primary school teacher, she was never content to sip tea with other diplomats’ wives. During her late husband’s two-year tour of duty in Ceylon as ambassador under the Eisenhower administration, she established a children’s library. And that was just the beginning. A native New Yorker, Mrs. Gluck was an inveterate traveler even before her husband’s posting. She says she inherited her wanderlust from her mother. “She was always going somewhere and I went right along with her,” she recalls. Through her philanthropy, Mrs. Gluck has endowed their richly-traveled cultured life with special meaning. The programs funded by the Maxwell H. Gluck Foundation are a true reflection of her lifelong love of opera and her zeal for education. In 1990, several years after her husband’s death, The Juilliard School became the first recipient of Mrs. Gluck’s generosity. The success of the program there gave her the confidence and foresight to focus the Foundation’s vision toward providing funding for new and innovative programs in music, the arts, and education at colleges and museums across the country. Her goal is for each act of philanthropy to affect multiple beneficiaries so that each gift has a more profound and broader impact. The UCLA Department of Music has emerged as a major beneficiary of the Gluck Foundation music programs. The Foundation underwrites the Gluck Fellows Music Performance Program, the Gluck Fellows Educational Outreach Program, the Opera Outreach Program, and the Music Theater Workshop. It also provides a significant portion of the annual funding for Opera UCLA. 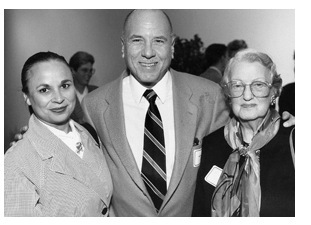 Thanks to the determination and leadership of Muriel Gluck, the generosity of the Maxwell H. Gluck Foundation also plays a significant role in the greater Los Angeles community. With the Foundation’s support, UCLA music students are sent to perform in venues throughout the city in order to develop and hone their performance skills. Not only do the students benefit from the additional performance experience needed for their pre-professional training, members of the Southern California community who might not otherwise have the opportunity to experience live performing arts gain access to these concerts. By the end of this academic year, over 50,000 people will have benefited from UCLA’s partnership with the Maxwell H. Gluck Foundation.